Located slightly inland from Guiuan village on Samar Island bordering Leyte Gulf. Pronounced "Giwan". Also known as "Samar Airfield" or "Samar Field". 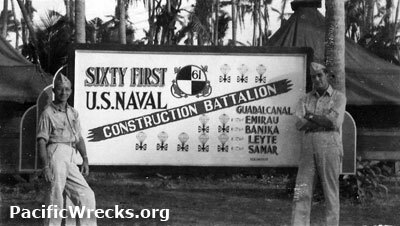 Built by the US Navy 42nd Naval Construction Battalion (Seabees). A single runway made of crushed coral was constructed running ENE to WSW. The runway was 1.5 miles long. Minor repair facilities were available at the airfield. This airfield was used by the US Army Air force, US Navy and USMC fighters and bombers. 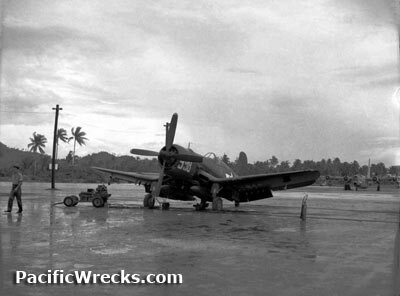 On January 24, 1945 a Corsair piloted by Lt. Karl Oerth from VMF-222 blew a tire during take off, lost control and crashed into a revetment and caught fire causing the ammunition to explode, killing 13 and wounding 50, many trying to rescue the trapped pilot. 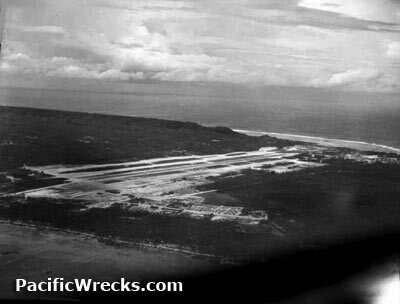 5th BG, 23rd BS (B-24) Morotai February 20, 1945 - ? 5th BG, 394th BS (B-24) Morotai March 2, 1945 - ? 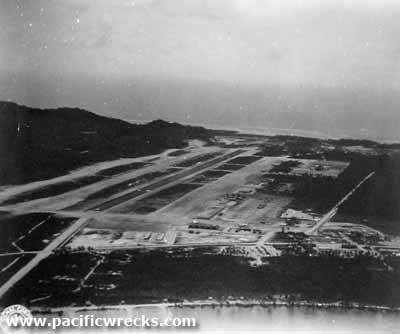 5th BG, HQ (B-24) Morotai March 5, 1945 - ? 2nd CCG, 6th CCS (C-46) Biak March 8, 1945 - ? 7th BG, 31st BS (B-24) Morotai March 17, 1945 - ? 5th BG, 72nd BS (B-24) Morotai March 20, 1945 - ?